We are continuing with the editing of MAINSTREAM to the degree donations come in. Here are some clips from the show. You may think you know all about the Mainstream Media - that it's run by the government or by Jews or by international bankers, et cetera - but actually none of this is true. The real situation is much more subtle and complex. The true nature of Hollywood movies and the New York Media, and how they relate to the globalist agenda, have never been revealed before this documentary. If you continue donating what you can, I will release small clips of the movie to donors as it goes through editing. You will be amazed as the story unfolds and you will have an understanding and a clarity like never before. If you go to www.MainstreamMedia.us/donate and make a donation of $100 and we can get the first episode released on Flag Day, 14 June. We will grant you a screen credit or you can donate anonymously. Many people have donated anonymously because they are terrified of the Mainstream Media. Some of these people work in the media and they will appear in the film in disguise. A number of major celebrities were invited into this film and almost all of them bailed out or hid behind their agents when their control masters found out what MAINSTREAM is about. Also, we lost three producers on this film. One died, one bailed out for fear of reputation damage in the Hollywood community and the other has all but disappeared from civilization. To put it bluntly, if you fail to keep modest donations coming, this film will die and no one will ever have any inking as to how the U.S. MASS MEDIA OLIGOPOLY works and how it's literally changing the American culture and bringing us all closer to a Global Totalitarian State. You like your guns? Well you're going to need them if the mainstream media keeps brainwashing Americans with impunity. But if you think your guns or your Bible are going to save you, you have been watching too much network TV. You have failed to grasp the concept we set forth in MOLON LABE. Please watch it again. Being armed means NOTHING. Having guns means NOTHING. Being a member of the NRA means NADA. Only the Constitutionally uninformed think keeping and bearing arms MEANS everything. All that matters in a Constitutional Republic is that the citizens are ORGANIZED into a "well-regulated Militia." This means a militia that reports to the Governor of the state. THIS is what the highest law in the land says. It does NOT say you are supposed to be marching around with guns in vigilante groups pretending to be State Militia. We need to implement the "Militia of the several States", a CONSTITUTIONAL STRATEGY. YOU, nor any of your buddies are going to make a difference getting this country back to Constitutional principles until and unless WE THE PEOPLE take back the MILITIA SYSTEM. And this is NOT going to happen if the MAINSTREAM MEDIA keeps brainwashing Americans on ANTI-Constitutional principles. You, and all Americans, need to also put down the notion that they already KNOW about and UNDERSTAND the MainStream Media. If the MSM were understood, the problem would be understood and thus NOT growing. The problem would be diminishing. Vigilante episodes and attacks on the Trump Administration would NOT even be happening. And if you think Donald Trump understands the Mainstream Media or he's going to be able to deal with it - think again. In the end, the power of the MAINSTREAM MEDIA will destroy Donald Trump, his Administration and the entire Republican Party. You will then see the DEMOCRATS and the SECULAR LIBERALS right back in power pushing their Globalist Agenda. And the REASON this will happen is because HOLLYWOOD has captured our kids. Yes, YOUR children are watching endless product from one of the 6 STUDIOS that dominate everything they see, hear and read. I guarantee it. And, as a result, their little brains are being so liberalized, so socialized, so Marxized, so secularized, and so sexually twisted there is NO possible way YOU as a parent are going to be able to do anything about it. YOU CANNOT COMPETE AGAINST $150 MILLION HOLLYWOOD MOVIES UNLESS YOU UNDERSTAND HOW THEY EXIST. The movie we are trying to make explains not only HOW, but WHY. If these mechanisms are made transparent, Americans will understand how they can defeat the MEDIA MONSTER. We are thus trying to fight media with media. 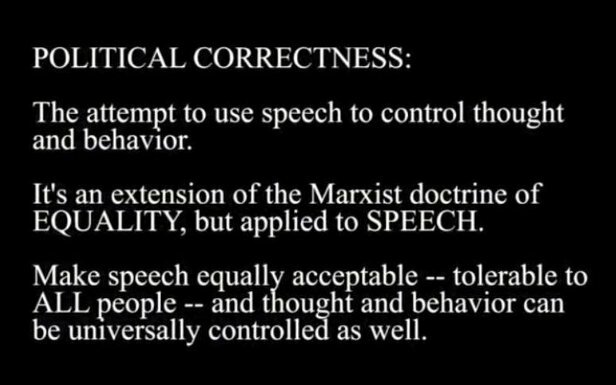 Fire with fire, for our public school "educational" system and even our clergy have sold out to the MAINSTREAM MEDIA'S dictates of "political correctness." But don't believe me. Spend that $100 on a steak dinner or a night out on the town. You will wake up to an even more serious problem. Just like when we made FIAT EMPIRE in 2005. Ron Paul, who was featured in the movie, said we will wake up to a more serious problem unless something is done about the Federal Reserve System. He was right. The National Debt was $6 trillion when we made FIAT EMPIRE and now it's $20 trillion. Why, because the MAINSTREAM MEDIA never informed WE THE PEOPLE about the true nature of "fiat currency" or "fractional reserve banking" or "quantitative easing." Instead the MSM promoted the Federal Reserve System. It promoted unconstitutional fiat currency. It promoted Keynesian economics AND it spit on gold and silver, which our Constitution says are the only "THING" that is MONEY. So, if we don't receive enough donations to the MAINSTREAM project, the film will sit on the shelf. Potentially millions of Americans and their kids will thus go on being totally ignorant and oblivious to how Hollywood movies and the New York Media are conspiring against them to usher in a debt-ridden, liberal if not socialist, secular and androgynous totalitarian state. As the book title says: IT'S THE MEDIA, STUPID! It's the MAINSTREAM MEDIA that holds all the ignorance and misinformation in place. Don't give up now. Help us get MAINSTREAM - How Hollywood Movies and the New York Media Are Promoting the Globalist Agenda done! Go to www.MainstreamMedia.us/donate and allocate $100, $50, $25. It won't kill you ... but doing nothing may. Thank you for helping us make the past seven documentaries. They are all up at www.Homevideo.net as a free public service and millions have viewed them over the past 12 years. Millions have discovered how the U.S. Constitution is supposed to work and they are putting this knowledge into practice. And this is obvious because Trump would not be president if we were not making a dent as a populist freedom movement. With your support, MAINSTREAM will be in the public domain too. We MUST deal with the MEDIA TROLLS ON THE BRIDGE TO LIBERTY or they will surely eat us alive, sooner or later. P.S. If you simply cannot donate, would you PLEASE at least forward this to some of your friends and associates who may be able to. Thank you.